One day, a long time ago, walking the streets of Rome, three outstanding men of God bumped into one another. Friar Dominic of Guzman was recruiting members for the Order of Preachers, later known as the “Dominicans,” which he had founded. Brother Francis of Assisi, the Poverello, had just brought together some men to serve what he called Lady Poverty. The third, Friar Angel, had come from Mount Carmel in Palestine, and was called to Rome because he was a great preacher. It was on the celebrated Mount Carmel, on the coast of Palestine, that Saint Elias, the “Prophet of Fire,” saw the little cloud that, in a period of great drought, was a fore-running sign that a redeeming rain would fall upon the parched earth. Through a supernatural intuition he figured that the simple cloud, in the form of a human footprint, symbolized that blessed woman, later mentioned by Prophet Isaiah in chapter 7, verse 14 (“Behold a virgin will conceive, and bear a child . . . .”), who would be the Mother of the Redeemer. From her virginal bosom would come He who, washing with His blood the earth dried out by sin, would open the life of grace for mankind. According to tradition, the Order of Carmel, of which Mary is the Mother and splendour, was born from the followers of Elias and his successors. 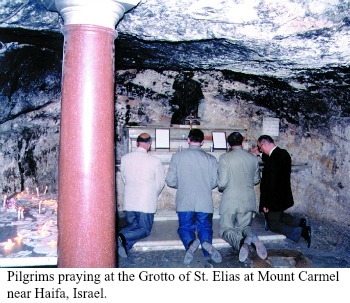 And, in Isaias’ words, “[T]he glory of Libanus is given to it: the beauty of Carmel, and Saron” (Is. 35:2). From Palestine, the hermits of Mount Carmel moved to Europe, laying down roots in several countries, including England, where Saint Simon Stock lived. Saint Simon was born in 1165 in the castle of Harford, in Kent, England, thanks to the prayers of pious parents who were both very virtuous and from the highest nobility. Some authors believe they were related to the royal family. His mother consecrated him to the Blessed Mother before he was born. 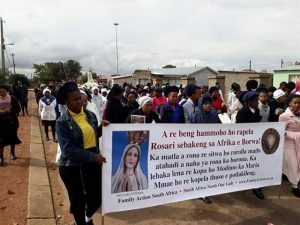 Before breastfeeding him, in gratitude for her happy delivery and asking special protection for her son, the young mother would offer him to the Virgin Mary and say three Hail Mary’s on her knees. What a beautiful attitude by such a noble lady! The boy learned to read at a very tender age. Like his parents, he began to pray the Little Office of Our Lady, and soon also the Psalter. At the age of seven, the young genius started to study fine arts at Oxford College and was so successful that his professors were surprised. At that time he also received his First Communion and consecrated his virginity to the Blessed Mother. Persecuted by his envious older brother, and heeding an interior voice that gave Saint Simon a desire to leave the world, at the age of twelve he left home and found refuge in a forest where he lived entirely alone for twenty years in prayer and penance. Our Lady then manifested to Saint Simon her wish that he join some monks who were to come to England from Mount Carmel in Palestine, “especially because those religious had been consecrated to the Mother of God in a special way.” Simon thus left his solitude and, obeying another order from Heaven, studied theology and received Holy Orders. He devoted himself to preaching until 1213, when two Carmelite friars finally arrived. He was then able to receive the habit of the Order in Aylesford. In 1215, as the fame of Saint Simon’s virtues reached the ears of Saint Brocardo, Latin General of the Carmelite Order, he wished to make Simon lieutenant general of the Order. 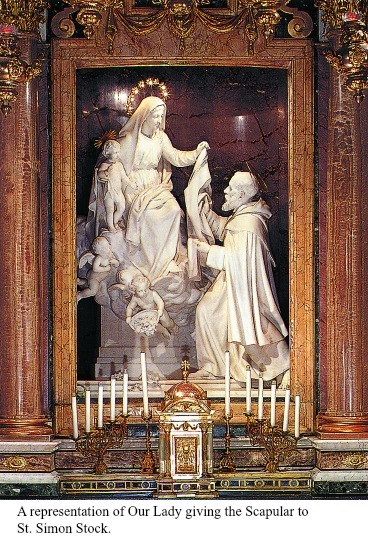 In 1226, Saint Brocardo appointed Saint Simon vicar-general of all Carmelite provinces in Europe. Saint Simon had to face a real storm unleashed against the Carmelites in Europe, which the devil raised with men supposedly zealous for Church laws. On various pretexts, those men wanted at all cost to suppress the entire Order. But the pope issued a bull declaring the existence of the Carmelite Order to be legitimate and in accordance with the Lateran decrees, and allowed it to continue to establish new houses in Europe. In 1237, Saint Simon participated in the General Chapter of the Order in the Holy Land. In 1245, in a new chapter, he was elected the sixth prior-general of the Carmelites. If the papal bull had momentarily placated the wrath of the enemies of Carmel, it did not stop it completely. After a period of calm, the persecution started again with more intensity. Devoid of human aid, Saint Simon resorted to the Blessed Mother with all the sadness of his heart, asking her to help his beleaguered Order and to send a sign of her alliance with it. That most special grace was immediately distributed in places where the Carmelites were established and confirmed by many miracles to such an extent that the enemies of the Brothers of the Most Holy Virgin of Mount Carmel were silenced. Saint Simon attained old age and extremely high holiness, working many miracles, and also receiving the gift of tongues. He surrendered his soul to God on May 16, 1265. What are, then, the specific promises of Our Lady? 1. Whoever dies clothed with the Scapular, will not suffer the fire of Hell. 2. Our Lady will free from Purgatory the person wearing her Scapular on the first Saturday after his or her death. During the preaching of some missions, a young man who was touched by grace decided to quit his life of sin and receive the Scapular. Some time later he lapsed again into disorderly passions and became even worse. Nevertheless, he kept wearing the holy Scapular. Being the mother that she is, the Most Holy Virgin struck him down with a serious illness. During his illness the young man dreamed that he found himself before the most just tribunal of God, Who condemned him to eternal damnation for his perfidy and his wretched life. In vain did the hapless young man argue with the Supreme Judge that he was wearing the Scapular of His Holy Mother. “And where are the customs that match this Scapular?” God asked him. Not knowing what to answer, the unfortunate young man turned to Our Lady. “I cannot undo what my Son has done,” she answered. 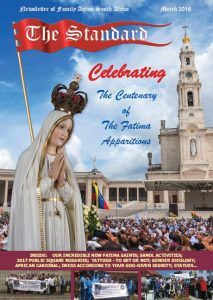 Is the Scapular related to Fatima in any way? Yes. After the last appearance of Our Lady at Cova da Iria, the seers saw three different scenes. In the first, the Mother of God appeared as Our Lady of the Rosary, standing by Saint Joseph and holding the Child Jesus on her lap. Then, she appeared as Our Lady of Sorrows, by the painful Christ on His way to Calvary. And finally, she appeared in glory, crowned as Queen of Heaven and Earth, as Our Lady of Carmel, with the Scapular in her hand. 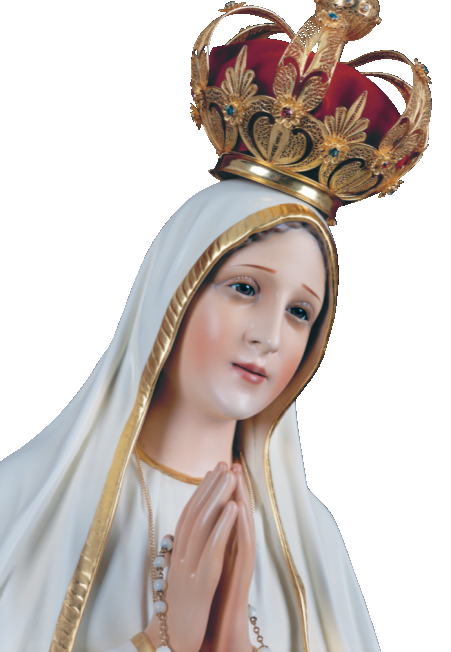 “Why do you think Our Lady appeared with the Scapular in that last vision?” Lucia was asked in 1950. “That’s because Our Lady wants everyone to wear the Scapular,” she replied. Both the Scapular (from the Latin scapulae, shoulders), and the monastic habit and liturgical vestments developed from lay clothing. Over time, the monastic Scapular evolved until the twelfth century when it attained its present form, becoming an integral part of almost all monastic habits, including the Carmelite one. But it did not have the meaning that it later acquired, as we shall see. 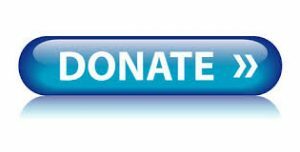 With the development of the First Orders (monks or friars), there arose the Second Orders (nuns), and then the Third Orders or Oblates, formed by single or married lay people living with their families. Members of the Third Orders were bound to the First Orders by vows or promises according to their state, and participated in the spiritual benefits of the Order. These Third Order members received a simpler religious habit, which they wore every day or, more commonly, only on Sundays and religious feast days. Later came the Confraternities for lay people unable to join the Third Orders. 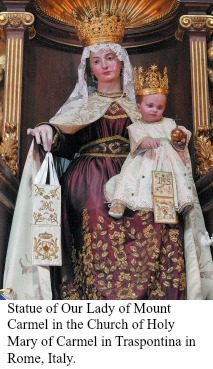 According to Father María Simón Besalduch, the Confraternity of Our Lady of Carmel is as old as the Scapular. 1. Cf. John Haffert, Maria na sua promessa do Escapulário (Edições Carmelo, Aveiro, Portugal, 1967), 265–266. 2. In Latin, that beautiful prayer says, “Flos Carmeli, Vitis florigera, Splendor Coeli, Virgo puerpera, Singularis; Mater mitis, sede viri nescia. Carmelitis da privilegia, Stella maris!” (Flower of Carmel, blossoming vine, Splendour of Heaven, incomparable and singular Virgin! 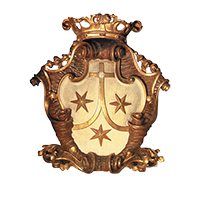 O loving and ever virgin Mother, give Carmelites the privileges of thy protection, of Star of the Sea!). 3. Monsignor Paul Guérin, Les Petits Bollandistes (Bloud et Barral, Paris, 1882), 592. 4. Father Simón Ma. Besalduch, OCD, Enciclopedia del Escapulario del Carmen (Luis Gili Editor, Librería Católica Internacional, Barcelona, 1931), 243-293. 5. John Haffert, supra note 1, at 34. 7. Father Simón Ma. Besalduch, OCD, supra note 4, at 167. 8. John Haffert, supra note 1, at 269, 272.